Cannabis culture has been alive and well in California’s capital city long before medical legalization ever passed. With exciting developments in recreational legalization happening all over the country, the potential for increased growth for Sacramento marijuana dispensary jobs is evident. In coming years, there is expectation for millions of marijuana jobs to be created across the country as the industry further becomes part of the mainstream cultural fabric. Sacramento marijuana dispensary jobs mirror industry expansion as stores are required to hire more staff to meet demand from local customers and tourists. For cannabis enthusiasts with basic knowledge of the marijuana industry, many are seeking dispensary jobs for entry level or management work. While there are innumerable jobs intertwined within the cannabis business, customer service positions at dispensaries in major metropolitan areas draw more significant numbers of applicants given larger population. For individuals with a vast knowledge of marijuana, but no experience working directly with the plant, entry level Sacramento marijuana dispensary jobs may be the most viable way to be initiated into the industry. Working at a store offers viable hands-on experience with products allowing for the possibility of in-house promotion or advancing in different sectors of the industry. Broad qualifications to work Sacramento marijuana dispensary jobs under medical legalization involves obtaining a recommendation for medical marijuana from a doctor, and passing a background check. Regulatory laws of cannabis dispensaries can be confusing to navigate given frequent revisions, yet it pays to be as current as possible with state and municipal marijuana legislation before applying to dispensaries. Positions within dispensaries alter from one business to the next, however, there are some jobs that can be found at the vast majority of dispensaries. Though many individuals have basic knowledge of job titles, it helps to have a more detailed overview of what each dispensary job entails and what employers are looking for in applicants. Starting from the top, the first job of any Sacramento dispensary is ownership. It takes a dedicated, savvy individual to jump over the legislative hurdles of opening up a marijuana dispensary, while also providing the necessary capital to start the business and pay any government fees. Owners benefit from having significant experience working in the marijuana field, or an extensive knowledge of and ability to sell cannabis products. Individuals who have owned businesses in the past or currently own additional businesses may benefit from learned experience about the successes and pitfalls associated with ownership. Operating a successful dispensary during such a period of growth can provide success to resilient (and lucky) owners, but major competition can also hinder a business’s ability to thrive and turn a product. Good management is essential to a successful dispensary. Even with a great product, timing or location, management is essential in keeping the employee/product/customer frequency in check. Sacramento marijuana dispensary jobs in management are not entry level positions; the job calls for previous management experience and hands-on marijuana involvement. Dispensary managers have a number of responsibilities on a daily basis that necessitates an ability to multi-task and problem solve. Firstly, managers are responsible for overseeing their subordinates. Potentially, managers hire and educate employees, encouraging them to efficiently learn the ins and outs of a typical workday in their position. Additionally, managers must create an employee schedule, which involves an ability to moderate between parties. Aside from overseeing other employees, managers often work as budtenders and are expected to provide effective direct customer service to customers, following all the same conditions tasked to their subordinates. Other manager duties include inventory and ordering, social media and marketing, opening and closing the dispensary and more. “Budtending” has become a buzzword in recent years, representing the term for the primary customer service worker that provides customers at dispensaries with their marijuana products. Budtenders are knowledgeable cannabis enthusiasts with a penchant for great customer service. 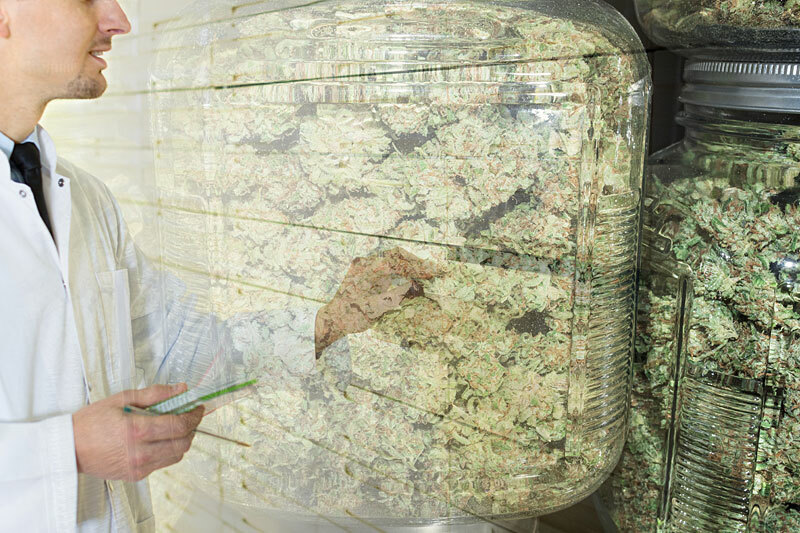 Budtenders guide patients through the process of entering the room where products are sold, explaining products and answering questions along the way before recommending suggestions to fit patient need and financial limitation. Thanks to countrywide destigmatization toward cannabis products, patients openly visiting dispensaries represent a very diverse demographic of experienced marijuana users and novices. For this reason, budtender must be able to assist every customer with an experience to suit their knowledge and make them feel comfortable. Aside from direct customer service, budtenders organize and clean store displays, restocking products and rolling joints, as well as updating social media accounts and menus on sites like Leafly. Some marketable skills to have as a budtender include proficiency in using different POS systems, as well as cash handling and basic math skills for weighing and measuring products. Being punctual and reliable are very desireable traits for Sacramento marijuana dispensary jobs, as customer service positions experience a disproportionate turnover rate to other fields. In order to have a smooth running dispensary, receptionists are integral in keeping the flow of customers organized before meeting their budtender. Receptionists perform data entry in order to process and store patient information in an online database. Due to the stringent nature of government regulations over dispensaries, a receptionists job should not be taken lightly. These individuals keep everything organized and current to avoid any slipups in compliance. Receptionists use their communication and organizational skills to answer customer questions in person, as well as over the phone and via email. A professional, yet helpful demeanor is recommended for this position to maintain the dispensary’s friendly atmosphere while also showing that it is serious business. While Sacramento marijuana dispensary jobs are competitive, there are always new openings available in the near future. Even if there are no current positions advertised, drop by your local dispensary and drop off a resume, or talk to the staff. Let them know you’re interested and see if they can offer any advice on obtaining a career in the industry. It helps to be familiar with employees when applying for any position, so it might help to actively visit a dispensary you wish to work at. As the industry continues to develop, so will state regulations and Sacramento marijuana dispensary jobs. If you have any questions about the status of legalization in your home state or anywhere across the U.S., visit that state’s “.gov” website for the most updated, reliable information.